Part failures are a common story in world of cycling - be it metal or composite parts. 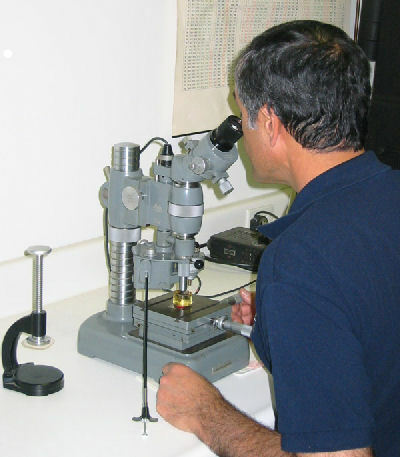 If you have ever experienced a metal part failure yourself that was a factor in any injury, have that part sent to someone knowledgeable in metallography. Metals have existed for thousands of years and both their theory and their analysis have been perfected through science. Mainstream carbon composites sprang up during the 50's and 60's so understanding them is still bit of a niche field. But who hasn't bent or welded a metal part in their garage at some point in time? 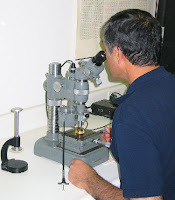 Speaking of metal failures, agencies exist today that not only can analyze a specimen of a failed part blown thousands of times larger by microscopes but they can also perform chemical and impact tests on the part to determine if the composition of the metal was as per the specifications, and whether attributes related to heating - such as the thermal alteration during welding and cutting - had any part to play in the breakage. A nice overview of these processes was provided recently by the ME Magazine. With this brief introduction, it may help you decide whether its something you want to pursue through an expert if the injury case is significant. This route may cost a good amount of money but both accuser and the accused can come to an agreement as to who was at fault in a technical and professional manner. One example of a case where metallurgic expert lent his insight to the victim of a bicycling accident was explored in one of my previous blog posts here.